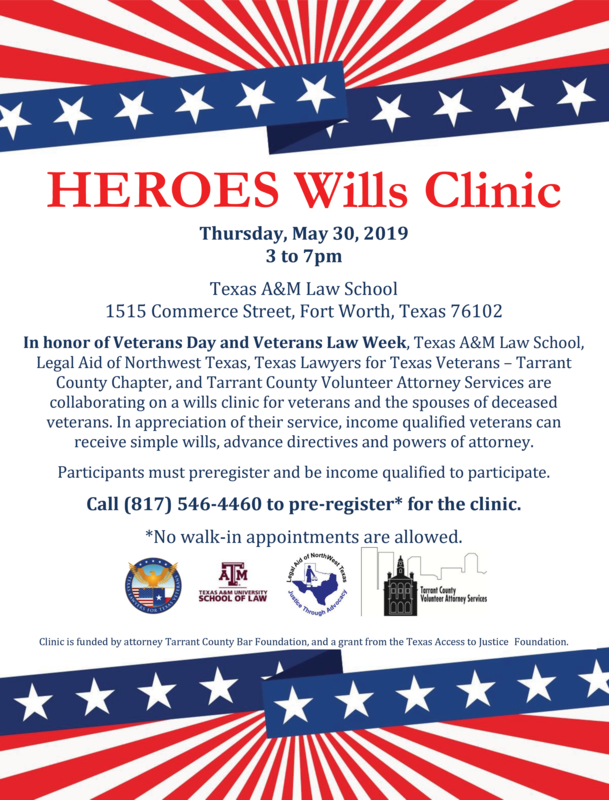 The Fort Worth chapter of Texas Lawyers for Texas Veterans (TLTV) holds legal clinics once a month except in the months of March and December. To see a schedule for all of our 2019 Legal Clinics, click HERE. The APRIL, 2019 clinic is scheduled for Friday, APRIL 26, 2pm to 5pm. The location is TARRANT COUNTY COLLEGE – SOUTH CAMPUS located at 5301 Campus Drive in the SSTU Bldg. To schedule an appointment please call 817-546-4450. Clinic Flyer Available Here. When you call the TLTV line you will have to leave a message and one of our volunteers will return your call within 3 business days to give you an appointment for our next available clinic. To make the appointment the volunteer will ask you for your name, mailing address, other contact and demographic information that is necessary due to our grant requirements. Also, the volunteer will ask you in which type of case you need assistance. Please be advised that TLTV does not have attorneys that provide advice or representation in veteran benefits cases or attorneys that provide representation outside Tarrant County. If your case is outside the Tarrant County but in the State of Texas, our attorneys at the clinic will be able to advise you regarding the matter but cannot offer representation. 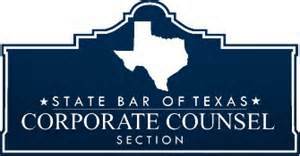 If your case is outside the State of Texas, we cannot provide advice about the laws in another State. For this type of matters, please see our resources page. After your appointment is made, another volunteer will call before the date of the clinic to complete your application. For this second call, you will need to provide more detailed information about your case, information about the adverse party (if available) and information about your finances (income and expenses). The financial information is required by our grantors and it is going to be needed to determine if you are eligible for representation after the legal clinic. If you have completed your application by phone, arrive 30 minutes before your appointment time. If you have not completed your application by phone, please arrive 45 minutes before your appointment time. Bring your DD-214, VA card or proof that you are a veteran or the spouse of a deceased veteran. Bring any documentation that will assist the attorney in providing you advice. Bring with you a list of the questions that you have for the attorney, this will help you make the most out of your consultation. Once, you arrive at the clinic, you will first meet with an intake worker that will make sure that the information taken by phone is correct, will review your proof that you are a veteran and will go over some instructions with you. After you meet with the intake worker, you wait until a volunteer attorney is ready for you. You will have about 20 minutes to meet with the attorney. After you consult with the attorney if you need further assistance with your legal matter, you will meet with a representative that will check your financial eligibility for pro bono representation. If your case was accepted for further review by a pro bono attorney (you will receive the contact information of the pro bono attorney and is your responsibility to contact the attorney and make an appointment). HEROES Wills Clinic. May 30, 2019 – If you need a will and/or end of life planning documents, please contact us at (817) 546-4460 to participate. Click HERE to see the flyer.